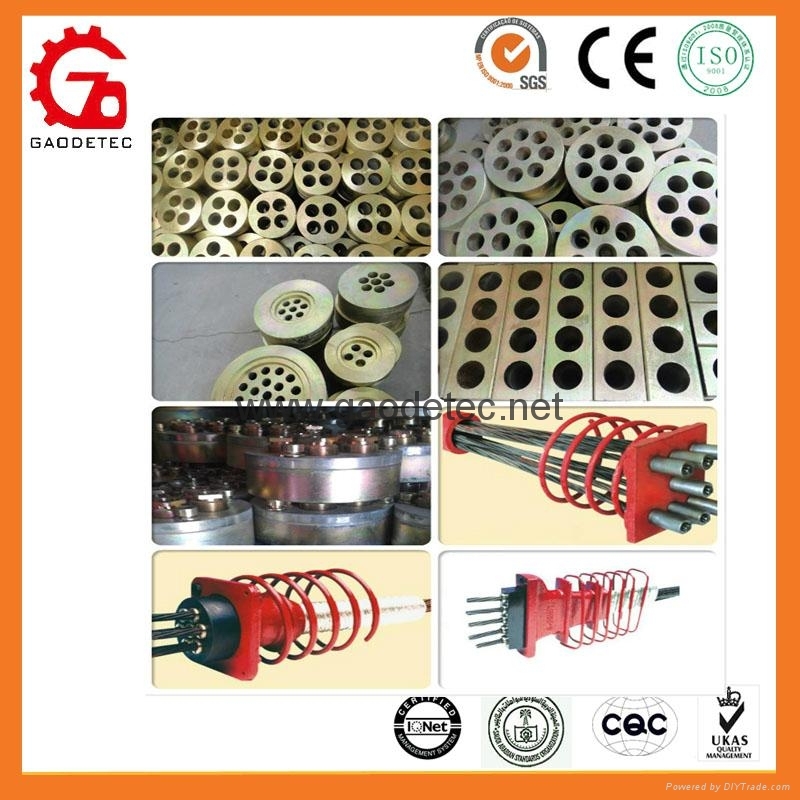 GYM System is consist of stress-end anchor, fixed-end anchor,anchor coupler and corrugated pipe. 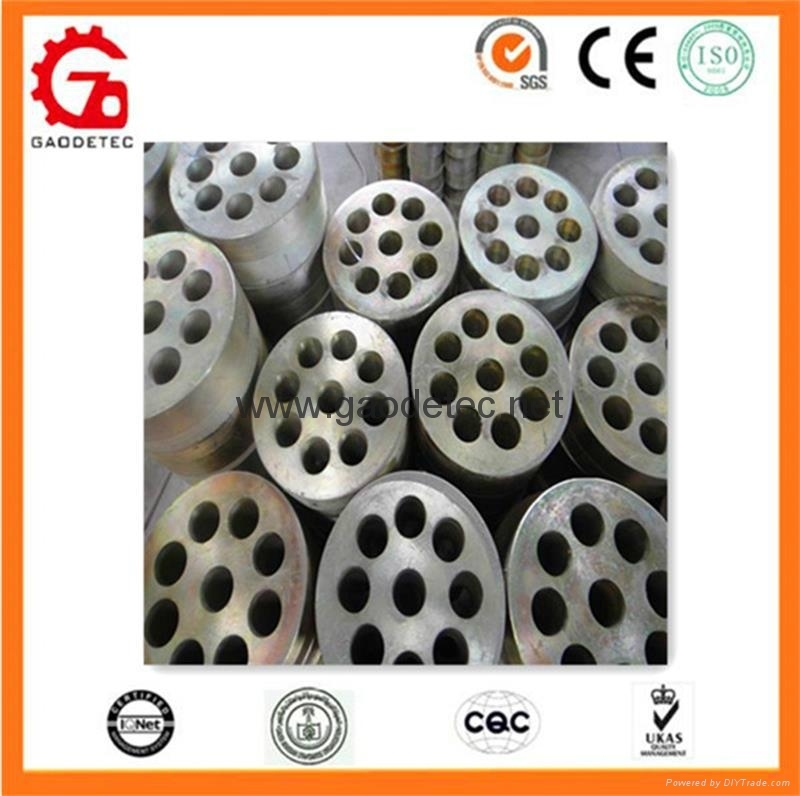 It can be divided into GYM13,GYM15,GYM18 series of round anchors and LBM13,LBM15 series of flat anchors, we also have high-strength steel wire GYM5,GYM7 series anchor. 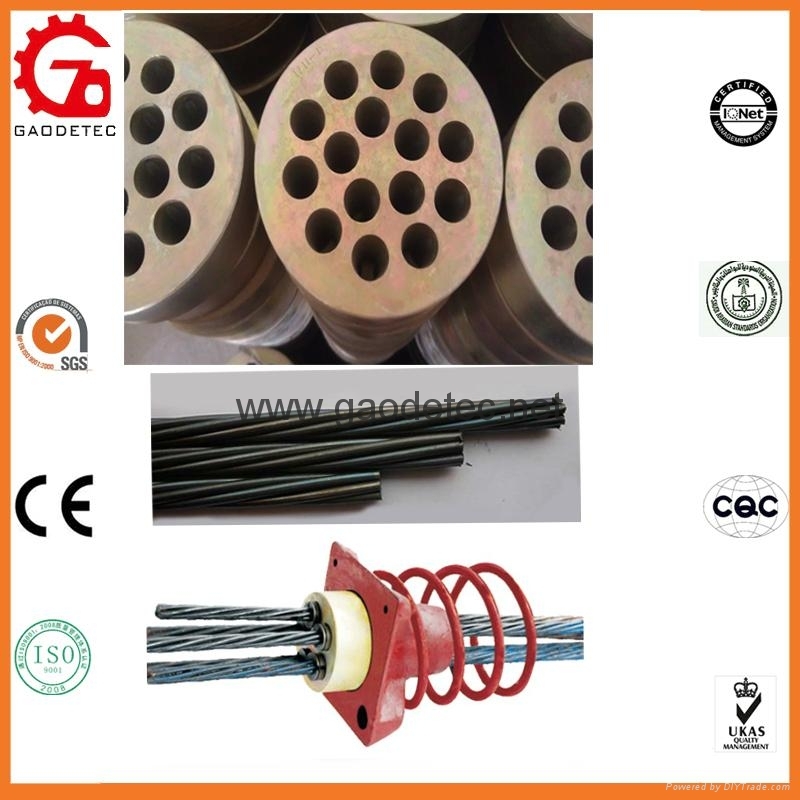 Wide range application, it can anchor with standard strength of 1570Mpa-2000Mpa, with the diameter of 8mm,9mm,11mm,12.7mm,15.2mm,18mm pc strand and the high-strength steel wire with standard strength of 1570Mpa-1670Mpa, with the diameter of 5mm,7mm. Wide range of choice, LYM series anchor system is suitable for the number of pc strand from 1-55 tendons, and can be produced as per customer requirement. With good stressing self-anchored function, Easy operation. 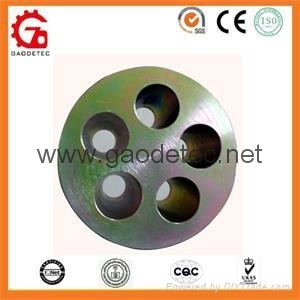 With high anchoring efficiency and reliable anchor. 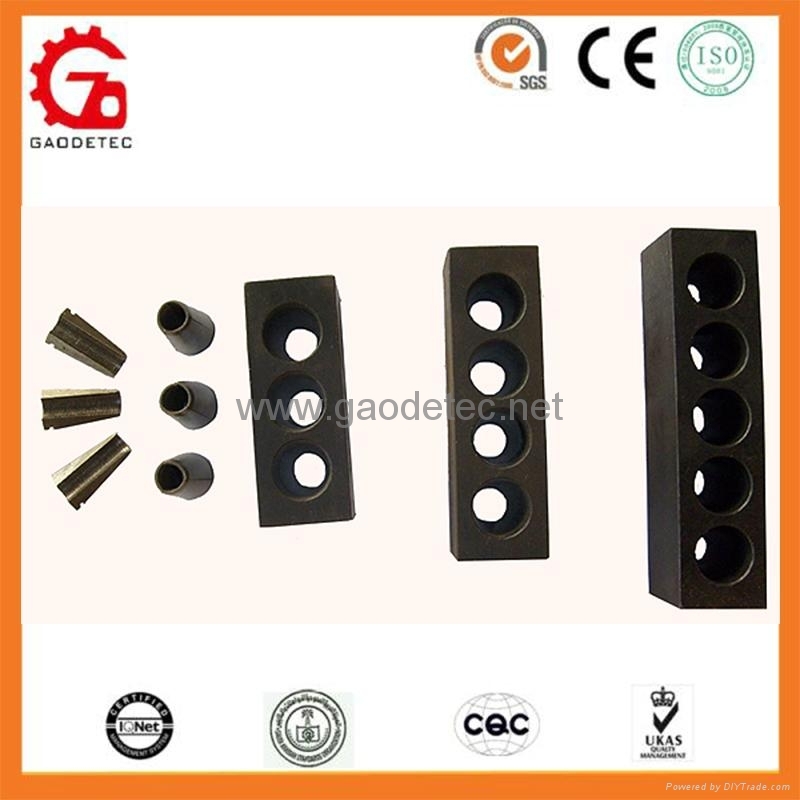 The anchor structure size is reasonable, which can satisfy anchorage efficiency coefficient but also achieve anchorage of strand of short distance. 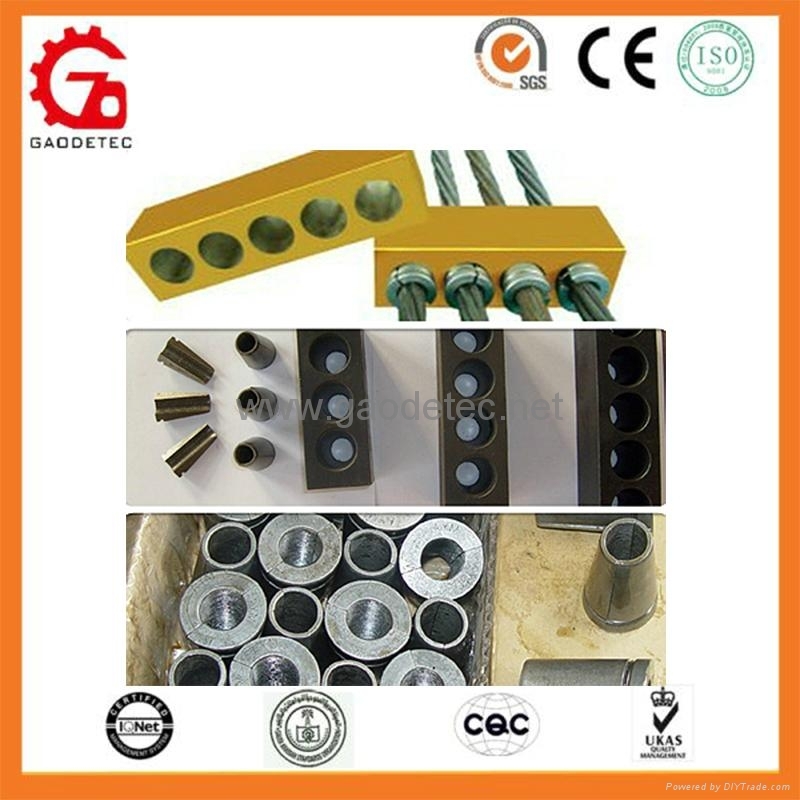 It has been widely adopted by modern construction, especially used in pre-tension or post-tension for concrete constructions as building materials, such as bridge construction, railway and highway construction, buildings and channel construction, etc. 1. 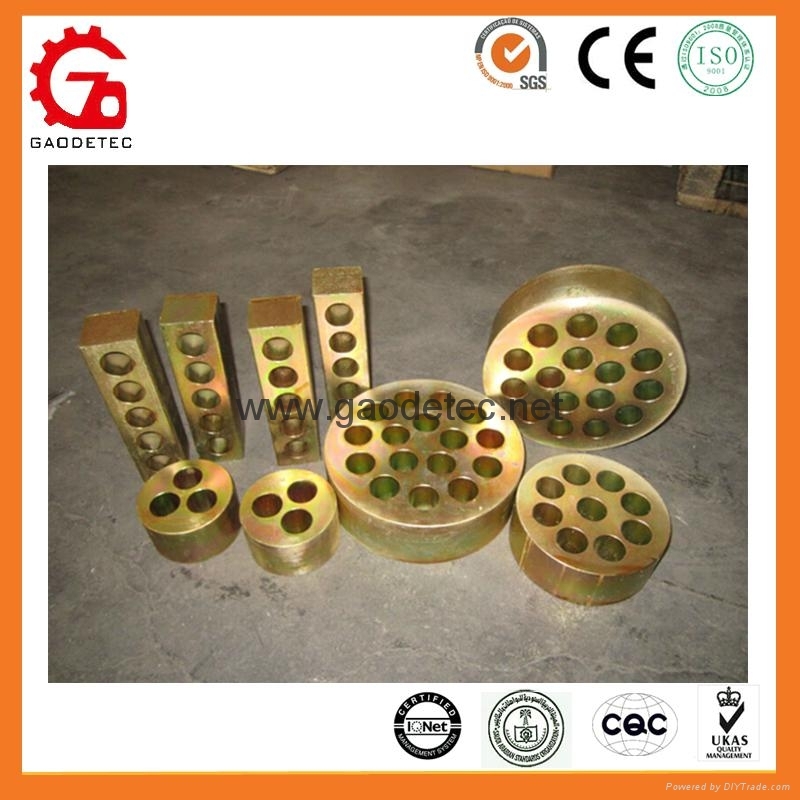 GBM15(13) slab anchor are used for the strand with diameter of |15.2-|15.7,|12.7-|12.9. 2. 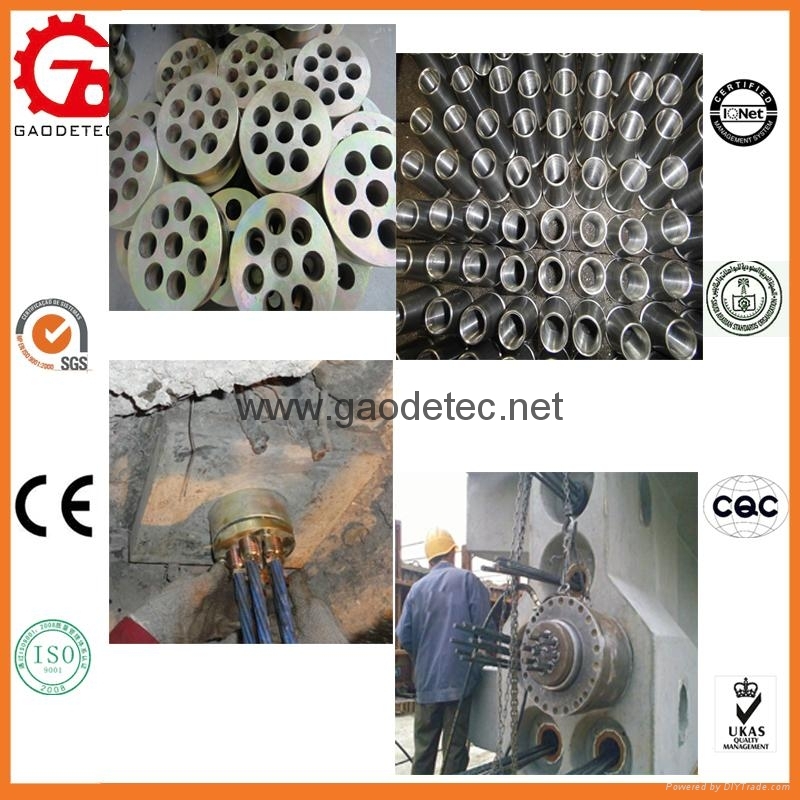 If prestressing strand is collocated in plate-type, you can arrange the prestressing strand into flat redial pattern by flat anchorage to avoiding to increasing the thickness of plating. 3. 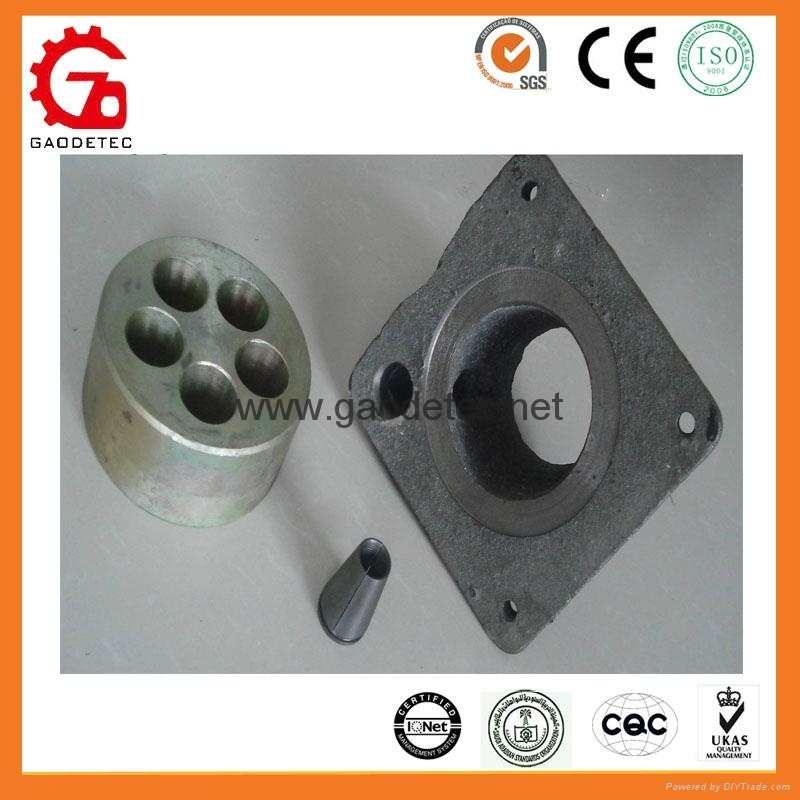 GBM15(13) slab anchors includes flat anchor plate, working wedge, flat bearing plate, and uses the QYC front-end fixed jack to stressing. 5. 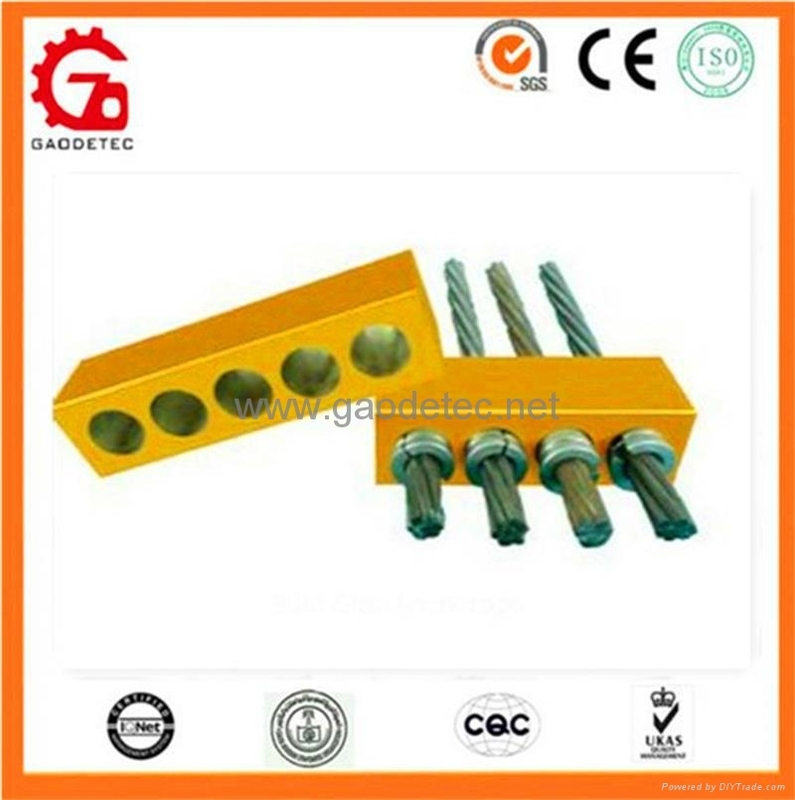 The GBM series slab anchors can work automatically, have a high anchor efficiency and very good performance. They are ease to use, safe and reliable. They are crystallization of large quantity of experiences and scientific research. 6. 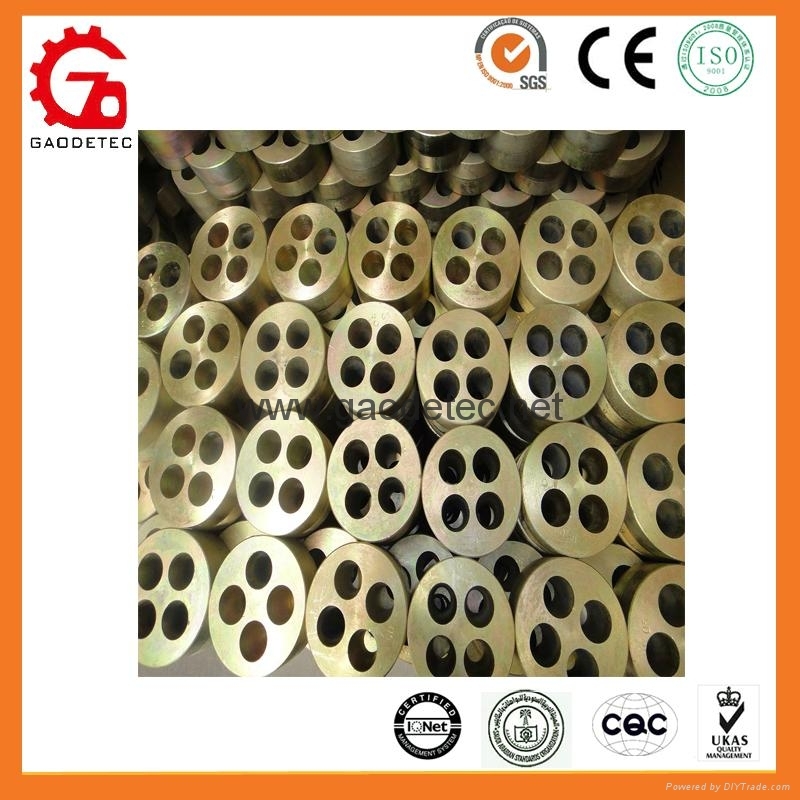 They are used to anchor prestressing strands from 12.7mm and 15.2mm, 15.24mm.varies from 1 to 22 and we can produce according to your specific requirements. 7. 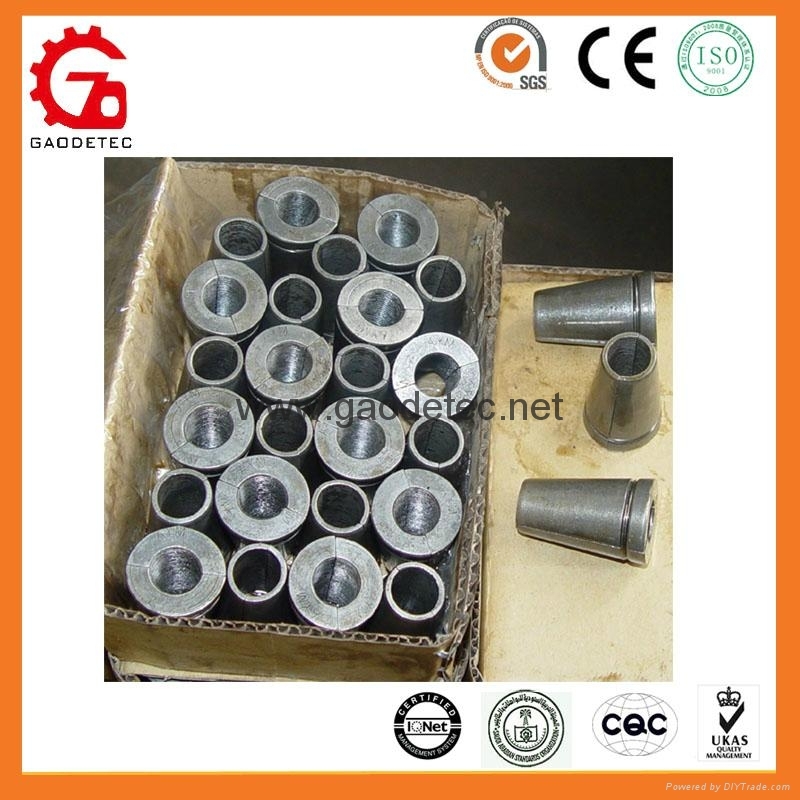 The strength of extension of a single can be up to 2000 Mpa. 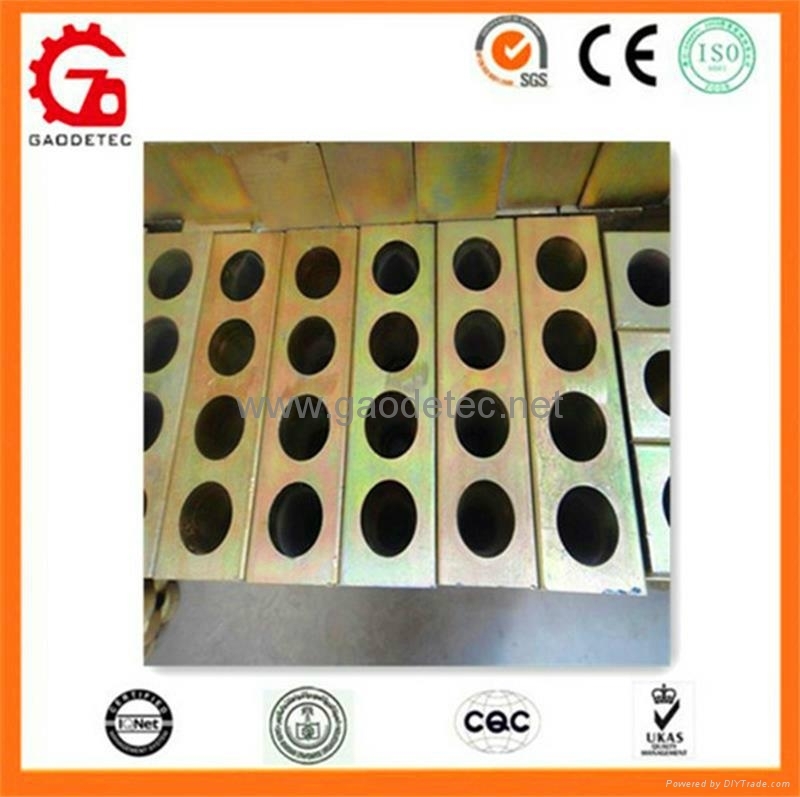 Packing︰ plywood boxes or as your requests.